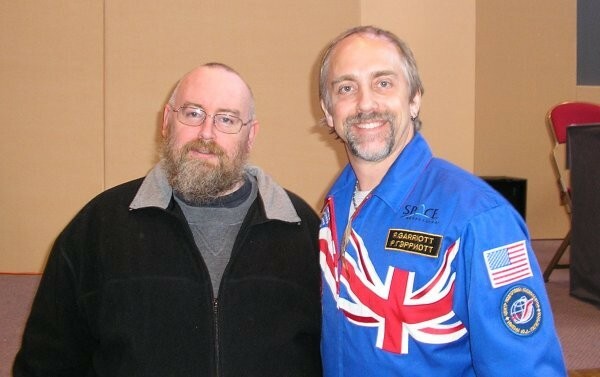 Richard Allen Garriott (born July 4, 1961), also known as Lord British in Ultima and General British in Tabula Rasa, is a significant figure in the video game industry. He was originally a game designer and programmer, but now engages in various aspects of computer game development. On October 12, 2008, Richard launched aboard Soyuz TMA-13 to the International Space Station as a self-funded tourist, returning safely 12 days later aboard Soyuz TMA-12. Richard was born in Cambridge and raised in Nassau Bay, Texas. He is the son of scientist Owen K. Garriott, who became an astronaut and flew with Skylab 3 and Space Shuttle mission STS-9.